I am once again proud and honored to feature another of Deanie’s children’s book here on my blog. Her books are so uplifting and an encouragement for children. She promotes self-esteem, positive messages, and an “I can do anything!” attitude throughout her books. If you are looking for a gift for a child – your own or a niece or nephew, one or all of Deanie’s books would make a wonderful gift, especially since Christmas is just around the corner. Charlene the Star makes new friends in this exciting adventure. She wants to win a special award for jumpers. She must learn important things if she wants to reach her goal. Does she succeed? How does Hattie react when she sees the headline in The Gazette? Why is Cherish so afraid? Your child will be fascinated with the amusing adventures of Charlene and her friends. Children will be entertained and learn important life lessons. Deanie Humphrys-Dunne is a children’s book author with five books published at this time: Award-winning autobiography, Tails of Sweetbrier, Charlie the Horse, Charlene the Star, Charlene the Star and Hattie’s Heroes and Charlene the Star and Bentley Bulldog. All of her books offer positive messages for children. Her sister, Holly Humphrys-Bajaj, beautifully illustrates her books and designs the covers. All books are available on Kindle and paperback. Her books have won a number of awards and recognitions. Deanie has been featured on several author websites and interviewed on WTNH.com/CTStyle television program. I am once again proud and honored to feature Deanie’s second children’s book here on my blog. Her books are so uplifting and an encouragement for children. She promotes self-esteem, positive messages, and an “I can do anything!” attitude throughout her books. If you are looking for a gift for a child, one or all of Deanie’s books would make a wonderful gift. Charlie dreamed of becoming a famous racehorse like his Dad, Charles the Great. Will he have the talent to succeed when he leaves for training at Sweetbrier Racing Stable? What will he do if he’s tired and doesn’t feeling like running? How will Charlie react when he faces challenges on the race track? Charlie tells this story just for you. Your child will delight in reading about Charlie as a baby horse with a big dream. All of Deanie’s books convey positive messages for children. Charlie the Horse emphasizes working hard and setting goals. This amusing story is illustrated by Deanie’s sister, Holly Humphrys-Bajaj, who also designed the cover. 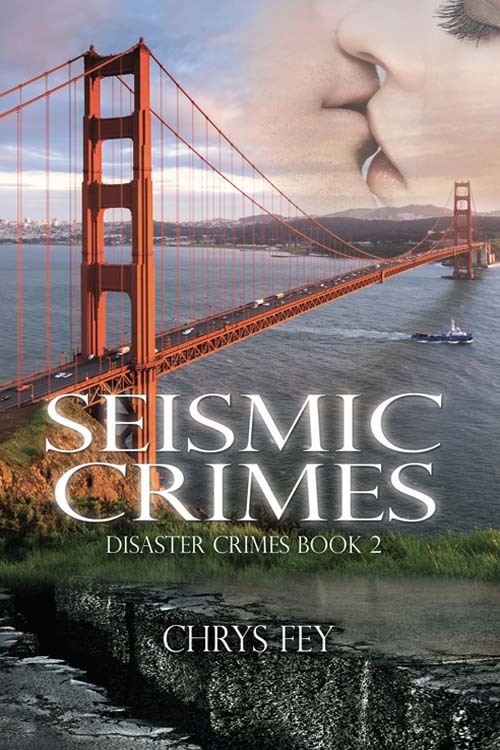 Guest Chrys Fey: First Three Pages of Seismic Crimes & Giveaway! The anxious weatherman forecasting Hurricane Sabrina’s arrival was wrong. She didn’t even die at the big, slightly calloused hands of Donovan Goldwyn, as she had thought she would. 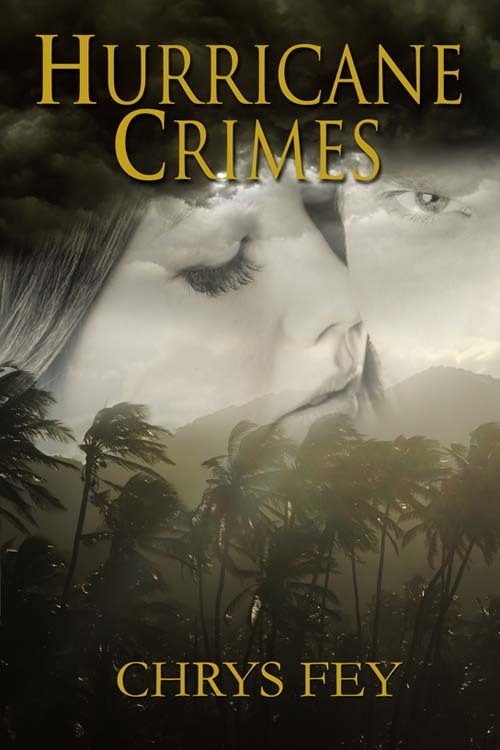 Accused of killing his brother, Donovan had shown all the signs of being a murderer, but she later realized he wasn’t a killer despite his suspicious mannerisms. Together, they had taken down one of the police officers responsible for killing Donovan’s brother, but one of the killers got away. Now they were paddling her canoe through the floodwaters leftover from Hurricane Sabrina. Seeing the devastation all around broke Beth’s heart. A tree had fallen onto a house they passed, severing the house in half. She wished they could stop there to see if anyone needed help, but they had to get to the Orlando Police Department as soon as possible. With great regret and a silent prayer the owners had evacuated, she looked away to see even more destruction. Some houses appeared untouched by Sabrina’s wrath, but many hadn’t been so lucky. Roofs had been ripped off; lawn decorations and furniture, that hadn’t been moved inside, had been thrown everywhere, as if Sabrina had thrown a tantrum. Even a children’s swing set had been knocked over. Beth looked away from the heartbreaking scene and forced her gaze to stay glued ahead as she paddled with their only oar. In front of her, Donovan used a shovel. As the canoe cut through the water, time blurred. Her arms and neck were burning with fatigue by the time they reached the police department. Donovan pulled the canoe up the steps and held out his hand to her. Her knees shook as she stood and stepped onto solid ground. Standing in front of Donovan, her hand in his, she looked up at him. She couldn’t imagine the turmoil he was going through inside, but she could see signs of it. His brows were drawn, his eyes streaked with red lightning bolts. She reached up with her free hand and laid it against his cheek. Beth gazed into his eyes, saw it was true. Her heart twirled in relief. Hand in hand, they walked inside. Five officers stood near the entrance, guzzling water from bottles and listening to the reports coming in on their radios. A woman manned the front desk. She answered the phone that never stopped ringing. Beth couldn’t imagine how many calls were coming in on the emergency lines. Hundreds of people were probably calling for help, but the police wouldn’t be able to respond to every call, not in their squad cars with this flood. During past hurricanes, the State Emergency Rescue Team went out in trucks and boats to rescue stranded people and they would have to again. A few civilians, who had to ride out the storm in the department, milled about anxiously. The mingled scents of stale coffee and sweat teased Beth’s nostrils. Large ovals of perspiration spread beneath the officers’ arms and trickled down their backs. They looked as though they were about to dissolve into puddles. Although the generators were working, the A/C was weak, and the air inside the station was more humid than outside. The officers’ heads swiveled to Donovan and Beth when they stepped through the doors. Their heat-exhausted faces registered surprise. Chrys Fey is the author of Hurricane Crimes, Book One in the Disaster Crimes series, as well as these releases from The Wild Rose Press: 30 Seconds, Ghost of Death, and Witch of Death. She is an administrator for the Insecure Writer’s Support Group and has participated in the Blogging from April A to Z Challenge. When Fey was six years old, she realized she wanted to be a writer by watching her mother pursue publication. At the age of twelve, she started writing her first novel, which flourished into a series she later rewrote at seventeen.